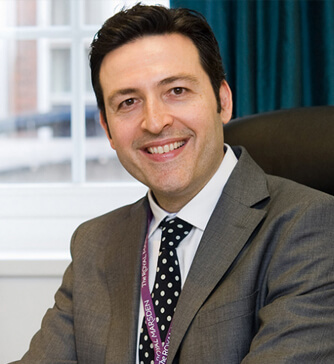 Mr Nanidis is a Consultant Plastic and Reconstructive Surgeon with an NHS and private practice at The Royal Marsden. He graduated with distinctions from University College London Medical School in 2003 and completed his general surgical and higher plastic surgery training in London. Mr Nanidis was awarded specialist fellowships at the Royal Marsden and Queen Victoria Hospitals, where he spent two years specialising in microsurgery with a focus on breast reconstruction. He also specialises in other complex reconstructions following the resection of, tumours from the abdomen and perineum, sarcoma and skin cancer. He has worked as a consultant at Queen Victoria Hospital in East Grinstead and was appointed at the Royal Marsden in 2017. His research interests include meta-analytical outcomes research, volumetric analysis of flaps and patient enhanced recovery pathways. He has published and presented his work nationally and internationally.